Duke faculty, students, and graduates are shaping the future of professional nursing practice. 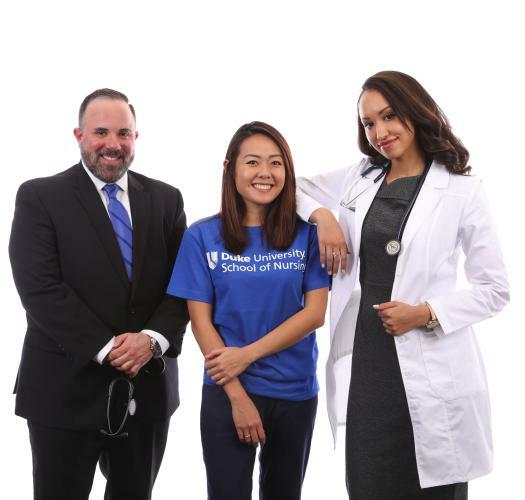 Duke University School of Nursing provides advanced and comprehensive education to prepare students for a lifetime of learning and for careers as leaders, practitioners, or researchers. Both faculty and students conduct research that adds to our understanding of health promotion and illness prevention, human responses to illness, and systems of care that facilitate better patient outcomes. For most programs, the curriculum allows students to customize learning opportunities to fit their goals and needs in collaboration with faculty advisors. Enrollment options are available in some degree programs, as are distance learning formats for selected courses.